Crossing genres can be tricky. Sometimes bands do it just so they can reach a new audience, but other times they do it just to have one. In today’s case, the featured group was making music for over half a decade—then completely changed course in order to make a little money in the music biz. All the way back in 1989 a couple sisters, Martie and Emily Erwin decided to form a band. They added a guitar and a bassist and felt they had all the makings of a good ol’ country bluegrass group. All four women played instruments and sang—they switched up the instruments track to track, often pulling in a fiddle, mandolin or viola. Heck, with it being bluegrass, you may even hear a banjo from time to time. 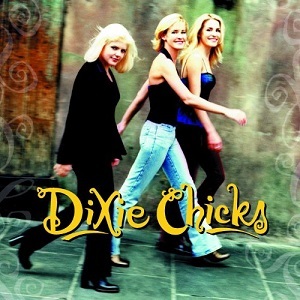 They even had a name, modifying an old country song “Dixie Chicken” into just Dixie Chicks. In 1990, they received a check from a fan for $10,000 so they could record an album. They were dropping an album a year, and seemingly catching a following but the radio play, and subsequently sales, just weren’t there. Fast forward to 1997 – new management and a couple member changes later, they went in a whole new direction. The Dixie Chicks were now going to be a pop country band with a much more contemporary feel. They ditched the cowgirl dresses and put on modern clothing, and they seemed to be on their way. The first record released in this renaissance of sorts was Wide Open Spaces, which came out in January of 1998. While the previous three works failed to chart to this day,“Wide Open Spaces” is currently certified diamond in the states, with nearly 20 million copies sold worldwide. I think it’s safe to say the brand switch worked out a-okay for the group. At the 41st Grammy Awards, the Chicks took home two awards out of three nominations. Backed by four singles that saw major radio play, much of ’97 and ’98 were dominated by this album. It was one of the first country albums to crossover into the pop charts, which became huge business for acts in the 2000’s. In 1998, the Dixie Chicks sold more albums than all other county music groups combined. That’s a crazy statistic. The country world took note, giving them the Horizon Award and recognizing them for being the pioneers of getting country music in the mainstream of U.S. music. Coming into this record as someone who isn’t pop or country music’s biggest fan, it’s hard to be a fair critic, but I think I can be objective. You aren’t going to miss this as a country album, that’s for sure. It is contemporary in the sense the major highlight is Natalie Maines vocal ability. Unquestionably she can sing, and they were smart to highlight her. But with the backing of the violin, fiddle type instruments, and even Maines’s country twang inflection, this still feels like an old school bluegrass album in a few ways, and I think that’s part of the charm. You still got your grandma’s toe-tapping female country artist but with a modern twist and feel—something that really hadn’t been done before the Chicks, and I commend them for that. After some political controversy in the early 2000’s, the band hasn’t quite rebounded from some folks getting upset at their comments. They broke up for a bit, but are currently on a world tour. It may not have ever gotten better than this album from the late 90’s, so pick it up today for $5 bucks. Country your way through Tuesday for cheap.